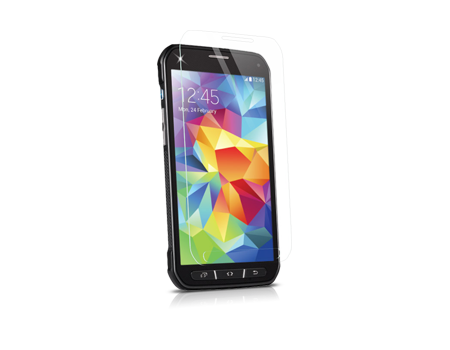 The BodyGuardz Pure Tempered Glass Screen Protector for Samsung Galaxy S 5 Active provides thin, touch-sensitive glass with steel-like protective qualities. When it comes to touch screens, nothing tops the functionality, feel, and clarity of glass. The same is true of screen protectors. ScreenGuardz Pure is made from a special chemically-tempered glass exceeding the hardness of steel. Performance is ensured by a smudge-resistant coating, coupled with high touch sensitivity. ScreenGuardz Pure premium glass screen protector is the clear choice.